Wudtone PRS DD (Dynamic De-compression), upgrade now available in our online shop here. 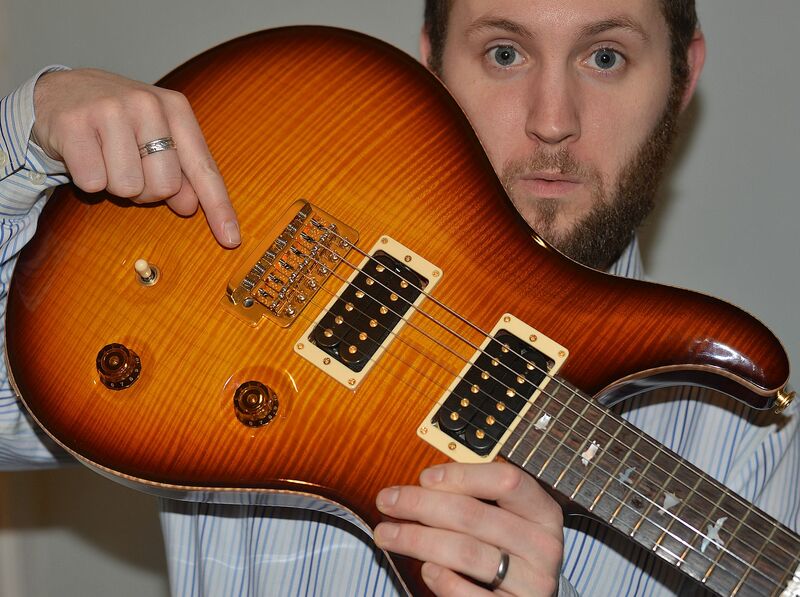 PRS make some world class set neck guitars and discerning customers expect the very best tone. … when we plugged it in, the difference in tone was well, quite simply remarkable … more grunt, guts, definition, acoustic volume and attack that it had before, and it already sounded really good before the swap … I was intrigued & excited with the result. 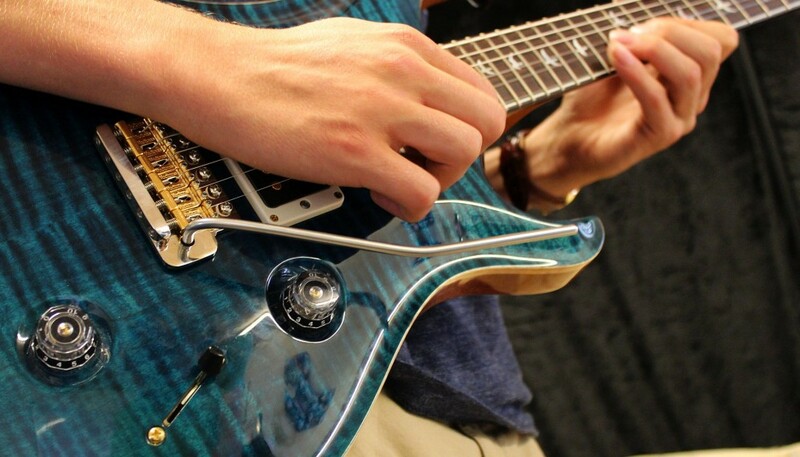 The Wudtone PRS DD upgrade achieves dynamic efficiency because of the way it is connected to the body of the guitar. 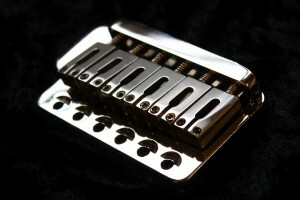 The trem upgrade delivers a maximised connection between the underside of the plate and the body of the guitar, (this is very different to a stock PRS trem which is essentially similar in operation to a fender two post, albeit floating whilst pivoting on the six small grooved mounting screws). The Wudtone PRS DD trem upgrade delivers a proven set of tone, dynamic, feel and tuning stability, benefits. Technical note on the invention. 1st gen plates,( as per the original Leo Fender patent) with a flat top surface only pivot by loosening the fixings (this allows the plate to slide up and down the fixings). This type of plate provides a desirable tone but causes tuning to be unstable. 2nd gen plates ( e.g. Fender 2 post, PRS grooved screw, and Ernie Ball Luke) use indentations in the fixings ( 2 or 6) so ‘float’ above the guitar body. Stable but the tone generated by guitars using these bridge plates is considered to be inferior to the vintage plates. This represents a very exciting opportunity for PRS guitar owners to finally discover the full capabilities of these awesome guitars. The Wudtone PRS DD upgrade fits any PRS trem based, core line, private stock or SE, without any modifications to the guitar. It is an easy retro fit without the need for any specialist tools or skills. Fitting instructions can be downloaded here. It can be used with your existing brass PRS saddles or any suitable sized (10.5mm) alternatives. Wudtone also offer vintage steel nickel or comfy ergo stainless steel saddles if required. 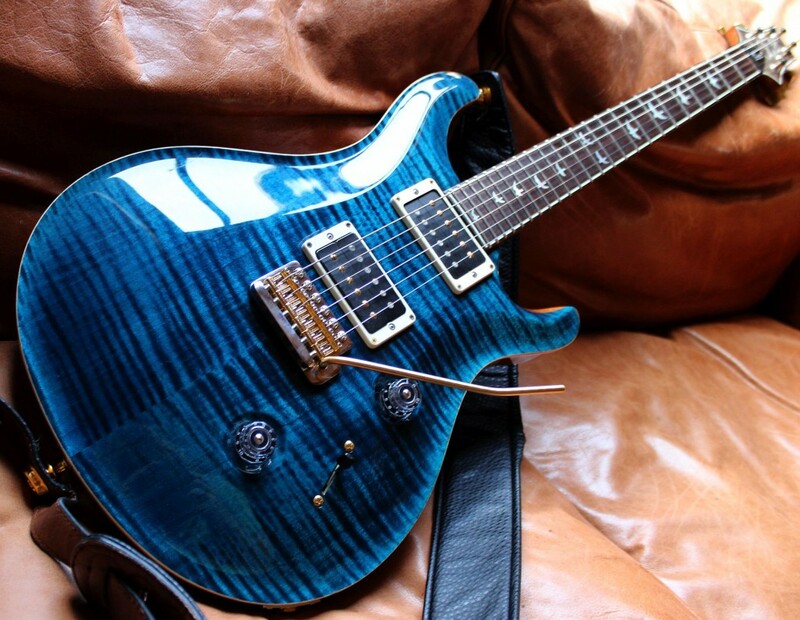 It is fantastic to hear of an increasing number of PRS owners delight in experiencing the unique combination of PRS build quality with the enhanced dynamic performance of Wudtone’s trem technology. As with all our hardware products, it comes with a total delightation guarantee or your money back! Now available in our online shop here.